Gregory Keith Smith, 69, passed away Wednesday, March 27, 2019 at his home in Dublin. He was a member of Dublin Christian Church and a former elder. He was a graduate of UVA Wise and taught elementary school for several years. He followed in his father’s footsteps and was a coal miner and was a representative for the United Mine Workers. Gregory was preceded in death by his parents, Arnold and Ida Mae Smith. 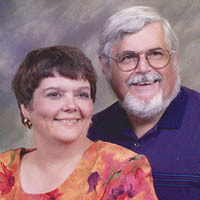 Survivors include his wife, Vickie Buckner Smith; daughter and son-in-law, April and Brian Henderson of Hardy; sons and daughters-in-law, James Perkins and Kayla Crowder of Dublin and Shannon and Brandi Perkins of Pulaski; brother, Steve Smith of Dalton, Ga.; sister and brother-in-law, Janet and Bob Cotrill of Lancaster, Ohio; 5 grandchildren, Caleb, Cara, Marlie, Sydney and Maklen; and many other relatives and friends. Funeral services will be held at 3 p.m. on Saturday, March 30, 2019 at the Dublin Christian Church with Rev. Richie Goad and Rev. Terry Hodge officiating. Interment will follow in Sunrise Burial Park in Radford. The family will receive friends from 6 until 8 p.m. on Friday evening at the church. Flowers are welcome or the family suggests that contributions be made to Dublin Christian Church Building Fund, 5605 Dunlap Road, Dublin, VA 24084.